Keeping up with other riders as well as keeping kids entertained, fed and watered can be uncomfortable on larger group tours. For this reason, we offer a special family tour. You will have a guide to yourself, keeping you away from traffic and at a pace comfortable for you, we can stop for bathroom breaks and food stops anytime so you can relax. 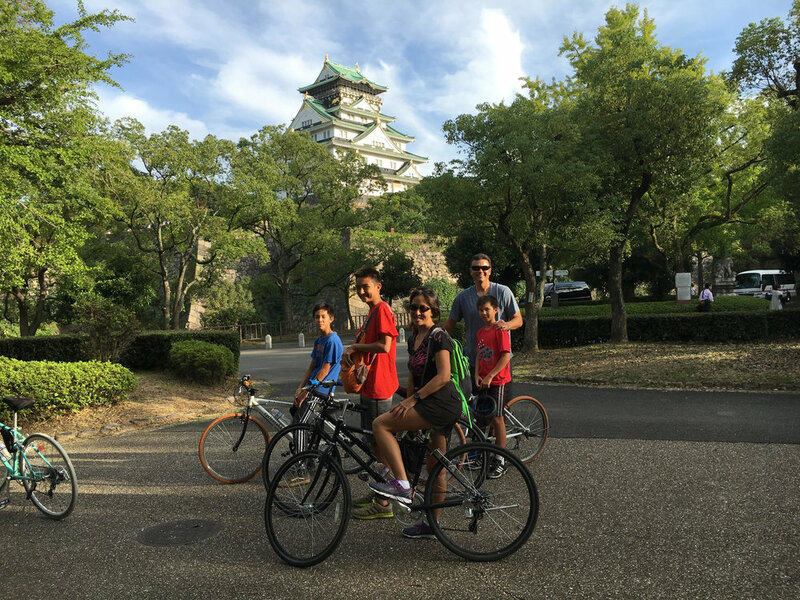 The route is based on our half day course, taking in parks, green space and of course Osaka Castle. We can supply child sized bikes (from 125cm) and if your kids are not old enough to ride bikes, we can also assist with booking a bike with a child seat.